TV drama 24 is under fire from Muslim groups in the US, which say the show's latest storyline fuels intolerance. The current series begins with Islamic terrorists waging an 11-day campaign of suicide bombings across America. The Council on American-Islam Relations said: "Repeated association of acts of terrorism with Islam will only serve to increase anti-Muslim prejudice". TV network Fox said it had "not singled out any ethnic or religious group for blame in creating its characters". "24 is a heightened drama about anti-terrorism," the statement continued. "Any individual, family, or group (ethnic or otherwise) that engages in violence is not meant to be typical." "Over the past several seasons, the villains have included shadowy Anglo businessmen, Baltic Europeans, Germans, Russians, Islamic fundamentalists, and even the (Anglo-American) president of the United States." "I do realise it's a multi-dimensional show that portrays extreme situations," said Sireen Sawaf from the Los Angeles-based Muslim Public Affairs Council. "But I'm concerned about the image it ingrains in the minds of the American public and the American government, particularly when you have anti-Muslim statements spewing from the mouths of government officials." "The overwhelming impression you get is fear and hatred for Muslims," said Rabiah Ahmed, a spokeswoman for the Council on American-Islamic Relations. "After watching that show, I was afraid to go to the grocery store because I wasn't sure the person next to me would be able to differentiate between fiction and reality," she told the Associated Press news agency. 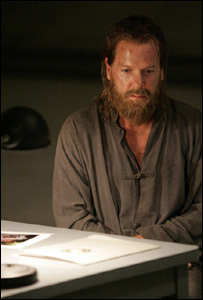 The council has raised concerns about the content of 24 in the past. 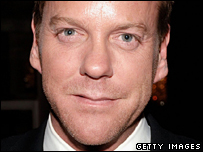 In response to a similar complaint two years ago, Fox aired a public service announcement featuring the show's star, Kiefer Sutherland, urging viewers to avoid stereotyping Muslims. The sixth series of 24, which has already started in the US, can be seen on Sky One in the UK from this Sunday.